Comments: Conveniently located adult living – close to all amenities. New shingles in 2004; single attached garage; all appliances included; window coverings; 4 ceiling fans; gas fireplace; undeveloped basement; sun room. We are looking for a place in olds 50 plus . I have a dog and want to keep him. 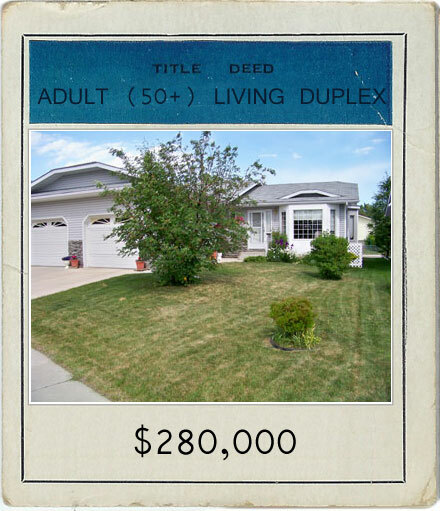 Looking a place around $159,900 in olds. we have a 1/4 section to sell in the Eaglehill area.